When you think of a Communion or Baptism, celebration comes to mind. 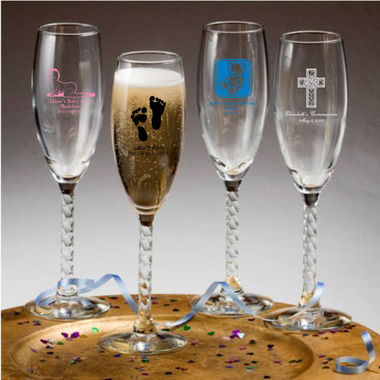 What better symbol of celebration than personalized champagne flute favors. Each measures 8" tall x 2" in diameter, with a 5.75 ounce capacity, in the classic champagne flute shape with a slender bowl top and an elegant long twisted stem. Made in the USA, each is made of clear glass. 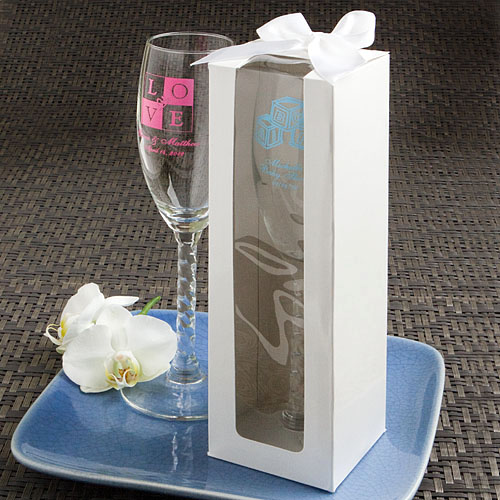 These personalized champagne flute favors come bulk packed.